Is Windows Phone 7 too little too late? 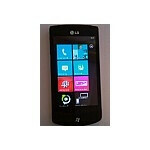 A financial analyst at The Motley Fool concluded that Microsoft's upcoming Windows Phone 7 will be too little too late. They point out that while smartphone market penetration is at 30%, this doesn't mean there is another 70% of the market waiting to be convinced. Instead, much of that remaining population is made up of people unlikely to subscribe to cell service in the first place. Another strong point is made by looking at the loyalty statistics of current smartphone users. They note that 89% of iPhone users and 71% of Android users intend to maintain their current operating system on their next phone purchase. One possible explanation for this loyalty is the expensive volume of apps that consumers accumulate, which they would have to replace if they switched to another OS. While the article doesn't give much hope for Windows Phone 7 in terms of market penetration, we shouldn't take this to mean it won't be a great OS. Windows Phone 7 might well carve out its own corner of the mobile market from its competitors. If something is good enough, the phrase "too little to late" is inapplicable. Because third party applications are one of the most valued parts of a smartphone, Windows Phone 7 has a long way to go. Unfortunately, with the iPhone and Android, not much is left to be desired. Android currently exists on phones with top of the line hardware; and therefore, hardware cannot be a motive for purchasing a Windows Phone 7 device. There is no competition app wise. The user experience on both Android and the iPhone are excellent, so that cannot be a motive for purchase either. I personally am going to try out Windows Phone 7 simply because its something new. But someone please enlighten me. What does Windows Phone 7 have to offer over the top platforms.? A revolutionary (no less) gui. Thats all. Nothing less, nothing more. the one thing that it has the others dont.. Xbox live integration. And its going to be capable of playing XBL arcade games live vs people on the 360. They are pumping like a billion dollars (not an exaggeration) to kick windows 7 off with a bang and alot of quality apps. Of course, since its MS, it will have the best Office integration of all the platforms which is something many business people need. Will it take over android and apple? I doubt it, but it has a solid chance of pulling ahead of RIM unless they get their butts back in the game like MS is trying to do. I dont expect much out the door with windows7, but give it a year of solid updates and bug fixes, and it just might be a high end platform worthy of hanging with the green robot and silver apple. The Motley Fool deserves the fool moniker. I think they are just another Windows hater. That 30%/70% statement bewilders me. With the already installed user base of mobile Windows OS's, the number of Blackberry users, the number of Symbian users, and now Samsung Bada coupled with the real meat & potatoes of growing smartphone market share, the iPhone users and Android users, I can't possibly see this 30% statement being accurate. At least not for long if it is. But then to say that the other 70% are unlikely to subscribe to cell service in the forst place?! Are you friggin kidding me? Does the fool mean cell service or smartphone service? He can't possibly mean cell service as just about everyone and their dog and the damn kitchen sink have a cell phone nowadays. So he has to mean smartphone service which is just an asinine statement as most phones released are now smartphones. Multimedia phones are now the "low end" phones for the most part. Finally, according to the fool's own numbers: 89% of iPhone users intend to stay iPhone leaving 11% of users open to change and 71% of Android users intend to stay Android leaving 29% of users open to change. That's MILLIONS of users! In the U.S. that's probalby double digits of the TOTAL smartphone market share percentage. Conclusion? If Microsoft WP7 is a compelling OS on competitive devices, with multi-carrier availability then yes indeed MS can make this a more interesting race. Hopefully it is as competition is good for everyone. For me though, I'm no WP7 groupie... I'm part of the 71% of Android users with no forseeable changes. I believe that winmo currently has 15% market share. While most who have it right now use it for a special reason, some who fall into that category will be "upgrading" to Windows Phone 7 when it arrives. Because of the stage of the "game" Microsoft will have to work very hard, to get anywhere. I agree that motley fool are fools. But then, most of These so called analysts are. I think WP7 will do just fine. There's enough market share for everybody. I think WP7 will do fine as well. But you have think. Most of the smartphone users, are satisfied with their platform, and don't desire a change. Most people don't have smartphones simply because they don't want them or cant afford them. This large group of people aren't candidates for the purchase of the WP7. There will have to be something very important in order to get users to switch from their current status. The question is, does Windows Phone 7 offer anything good enough to be worthy of switching to? i dont see the loyalty % being very accurate, much less the 30% users on smartphones.. unless they are talking worldwide with places like africa which is almost all regular/dumbphones since they are an emerging and poor market. I can tell you for sure that the big 4 american carriers (att,vzw,tmo,sprint) all carry around 50%+/- smartphone penetration with their customers. People upgrade to smartphones that dont need em, simply because they are more fun. I also see many customers jumping from platform to platform to try out the latest and greatest... especially if a sales rep has it. There will always be the diehard fanbase of any platform (yes, even windows 6.5 lol), but most people dont buy THAT MANY apps or really care about who makes what phone, as long as it works well, does what they want, and is a bit cool. The article is trash, its off base, and WP7 has a solid chance of taking the #3 spot. I would be really suprized if it didnt. isn't this what was said about google and android two years ago when they were newcomers in a game that RIM and Apple were dominating? With a strong enough user experience, anything stands a good chance. I definitely plan on leaving my android device for WP7 for at least one go round. if i don't like it i'll more than likely jump back to android, but i'm really excited to see what handset makers will do to push the envelope with the platform with microsoft requiring a minimum spec for the use of the OS. Two years ago, Apple wasn't dominating. But your basically correct. With everything new that comes out, their are always people who believe that it will fail. But if something is good enough, then there is always a chance.